The spa team and I were delighted to open the doors to our brand new discreet Aesthetic Clinic within the spa.. It is a very exciting time for us and we are thrilled to be providing a new level of service to our new and existing guests. If Advanced Cosmetic Procedures are new to you, they needn’t be scary. Our expertly qualified team are on hand to answer any questions that you may have if you are booking a treatment or simply enquiring about our service. If this is a starting point for you when it comes to advanced treatments, we have collated important FAQs with our practitioners Dr Victoria Waddingham, Dr Jennifer Mountjoy and Alison Byrne to give you a helping hand. 1. Are the treatments permanent? 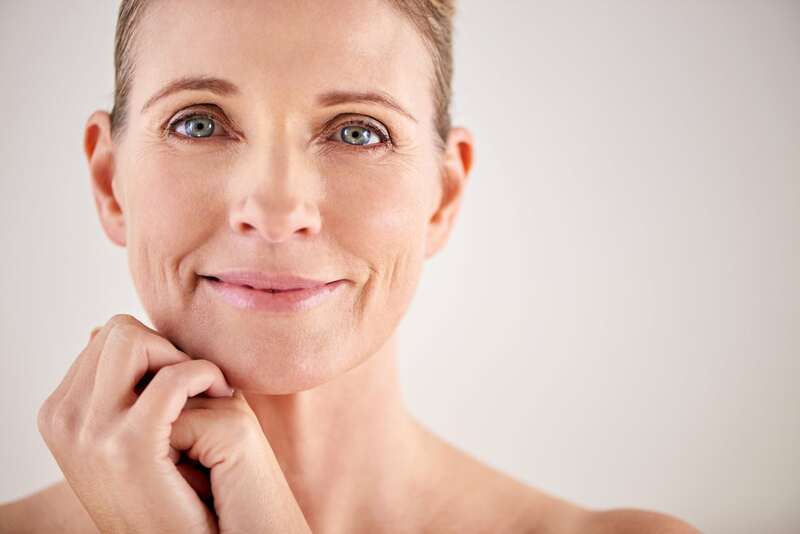 Wrinkle-smoothing injections (WSI) and dermal fillers are not permanent. However, the results can last several months, which makes them an ideal option for those who would like lasting results. 2. How often should I get the treatments done? The regularity of treatment depends on the individual and their skin quality and lifestyle. For example, if you smoke, you may find that the effects of WSI and dermal fillers may not last as well as someone who does not. If you undergo regular strenuous exercise, you may also find that the time your treatments last may be reduced, due to the product being metabolised in the system. If you eat a healthy diet, look after your skin with a good at-home regime, drink plenty of water and keep out of the sun, your results can be improved and may last longer! 3. How long will it take before I start seeing results? WSI may start to take effect within 24-48 hours. However, it can take up to two weeks for the full effects to be seen. After this time, you will be able to return to the clinic for an assessment and ‘top up’ if required. Dermal filler injections can offer immediate results! 4. Can I have WSI whilst pregnant or breastfeeding? As with many non-surgical treatments, those who are pregnant or breastfeeding should not undergo injectable treatments. Everyone is unique and individual and this goes for toleration or discomfort. In general, there is very little discomfort with WSI as the needles are extremely tiny and the injections go superficially into the skin. Dermal fillers may produce some discomfort but this can be easily managed with topical anaesthesia as well as lidocaine, now present in many products. Ice can also be used before and after injection to minimise discomfort and bruising. 6. What if I have an allergic reaction? Allergic reactions with WSI and dermal fillers are extremely rare and we only use approved, tested and trusted products by reputable brands. Our injectable treatments are only performed by medical professionals who are fully qualified and highly experienced, not only in the delivery of such treatments but are medically prepared for any such reactions. 7. What happens if I don’t like it? Our injectable treatments are temporary and dermal fillers can be reversed by injecting a substance called Hyaluronidase to the treated area if needs be. However, we insist on a pre-treatment consultation so that we can discuss at length your individual concerns and requirements so that we can devise a suitable treatment plan. Our ethos is to give a subtle and natural improvement; therefore, we very rarely find that a patient is not pleased with their result. 8. What age should I start having treatments? The first signs of ageing tend to start in our late twenties. For some of us, we are lucky enough to delay these signs until the early thirties. We would not usually recommend WSI or dermal fillers to anyone under the age of 25 and are rarely approached by those under this age. 9. What do I need to do before and after a treatment? Prior to any injectable treatments, it is recommended to avoid ibuprofen, caffeine or alcohol, which can increase blood flow and open blood vessels, increasing the risk of bleeding and bruising. Following wrinkle-smoothing injections, it is advised to avoid rubbing the area or bending/leaning forward which can cause the product to migrate. It is also recommended to avoid strenuous exercise for 24 hours. 10. Can I use the spa after the treatment? As post-treatment care is important with any injectable treatment, we would advise not to use the spa. Excessive heat can increase the risk of bruising and as you will have had the surface of your skin broken with a needle or cannula, we advise keeping the face clean and dry to avoid infection. We hope these helped! As always, our expert team are available in the spa or on the phone so feel free to pop in or give us a call! The elegant and stylish Suffolk Spa at the Bedford Lodge Hotel provides a natural, relaxing and aromatic environment, with plenty of beauty and wellbeing benefits, The Spa provides a wealth of indoor and outdoor spa facilities including a Hydrotherapy pool, roof top hot tub, a Rasul, Experiential showers, and a state of the art thermal area comprising a steam room and sauna . The Spa also has 10 beautifully styled treatment rooms, a luxurious relaxation room, a therapy room for visiting cosmetic doctors offering non-invasive procedures and a Spa Lounge where guests can enjoy a selection of light bites. The treatment menu has been created in cooperation with leading British spa brand, ESPA and offers a compact range of natural, holistic and results driven treatments for the face, body and mind. A beauty room offers manicures and pedicures.